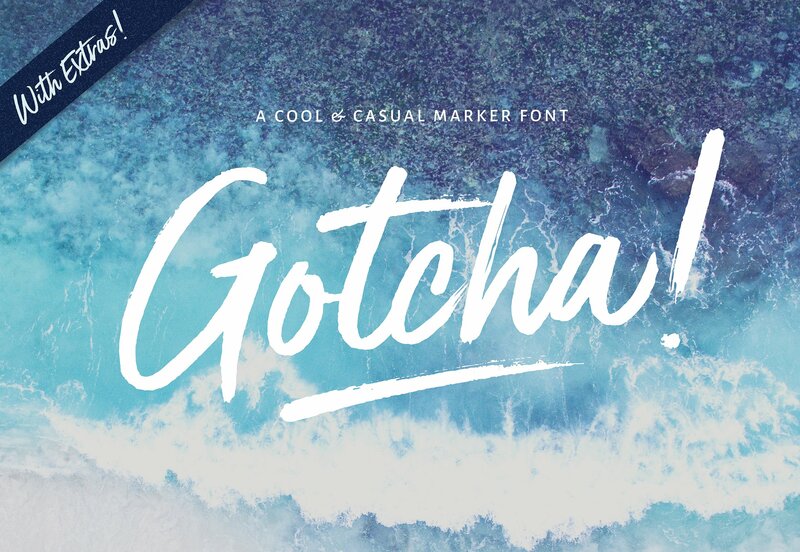 Gotcha is a lush marker typeface created and published by Nicky Laatz, a renown Australian type designer. Featuring a relaxed design, Gotcha comes with 3 different fonts (regular, standup and extras), alternate letters and ligatures, cool swashes. Say Gotchas to street urban and fashionistas! A font description published on Wednesday, August 30th, 2017 in Fonts, Nicky Laatz by Andrei that has 3,023 views.